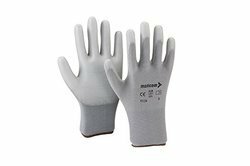 Safety gloves of different materials like polyurethane, cotton, latex, nitrile, neoprene blended, bleached cotton etc.Sizes from 7-10. We manufacture varieties of Cotton Safety Gloves in our own facility and have years of experience. We take utmost quality care on the varieties of cotton hand gloves. We supply varieties of cotton hand gloves to many industries. We are looking for global queries. We offer soft leather gloves which are made up of high quality cotton. These comes in various sizes and are used in various industries. They are dust free and can be used for working at different working conditions. 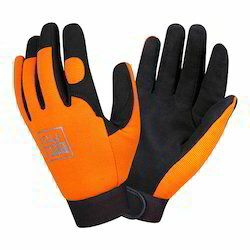 We have gained expertise in the domain by offering a wide assortment of Safety Gloves. We manufacture varieties of Cotton Safety Gloves in our own facility and have years of experience. We take utmost quality care on the varieties of cotton hand gloves. We supply varieties of cotton hand gloves to many industries.